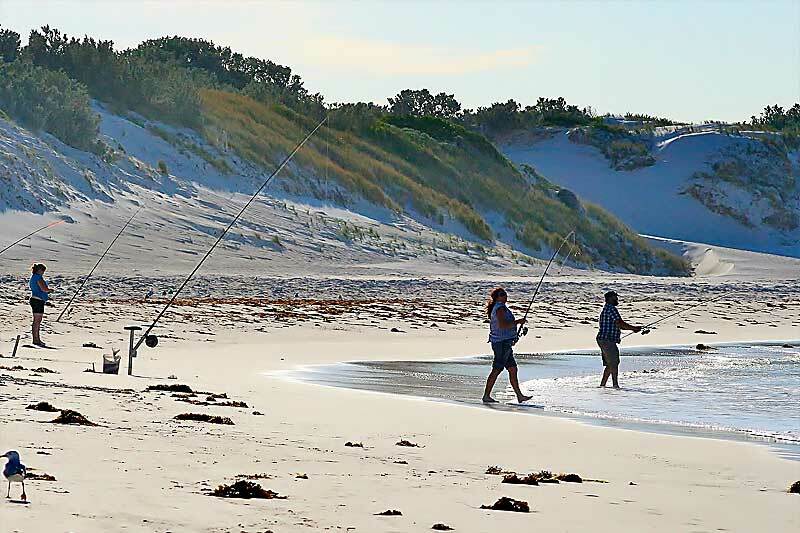 Fishing the Wedge Island. 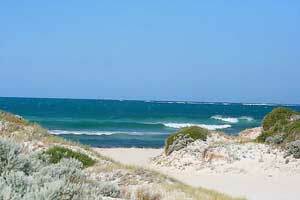 The Wedge is 130km north of Perth. 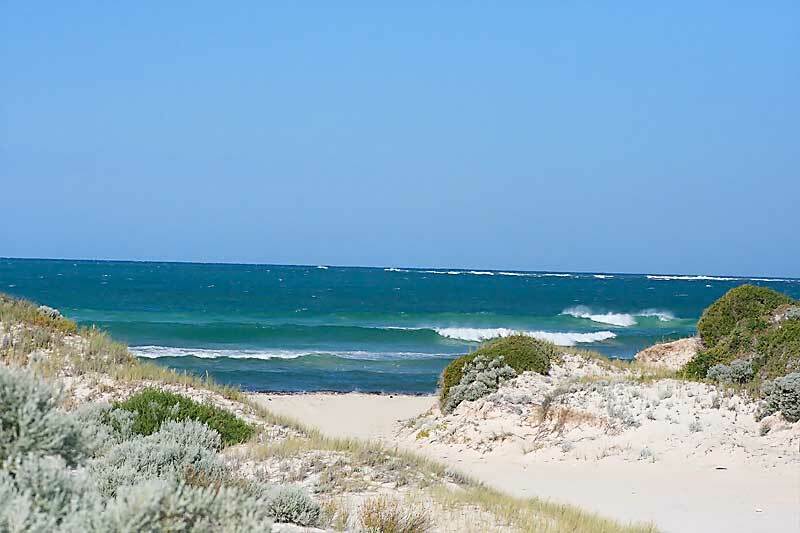 30km past Lancelin is a turn to the left just before the Indian Ocean Drive hit the ocean looks like it is ending in the ocean from this point. 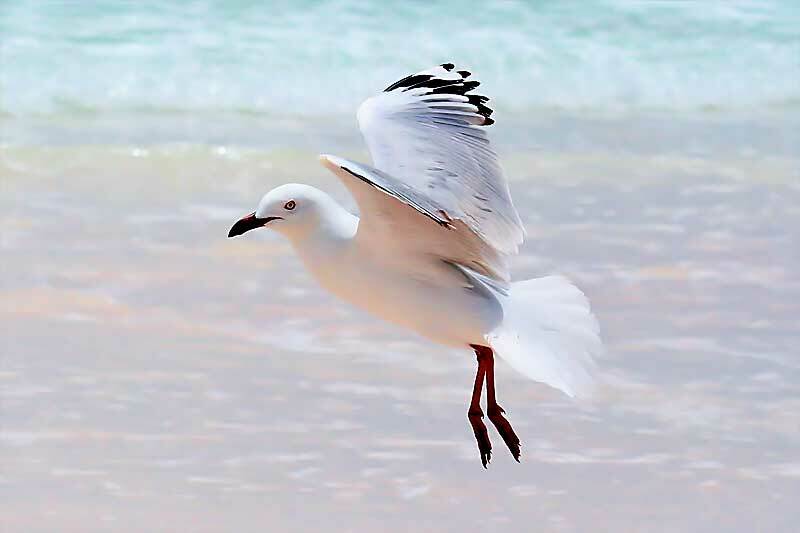 In here you can find quickly anything you want just type in the search box relevant keywords and hit search. 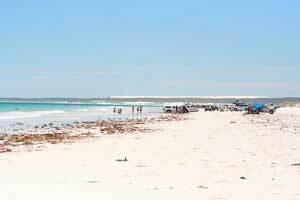 Wedge is often quiet during the cooler months but during major public holidays there are people everywhere. There are no shops, electricity or running water so you have to have your own supplies. 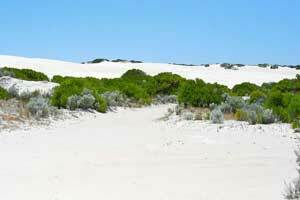 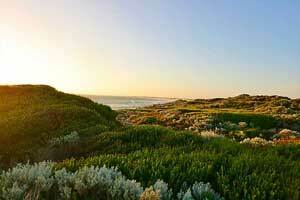 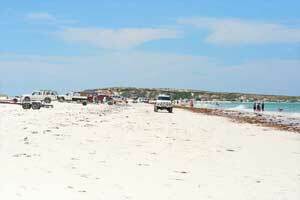 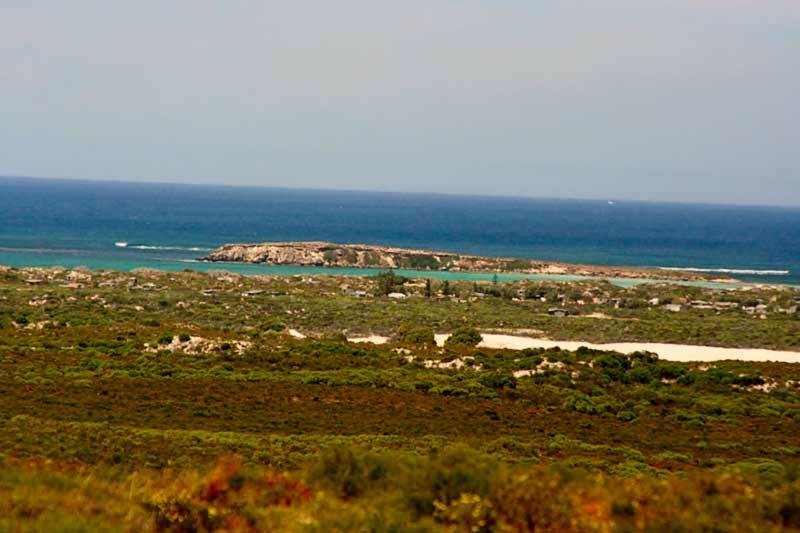 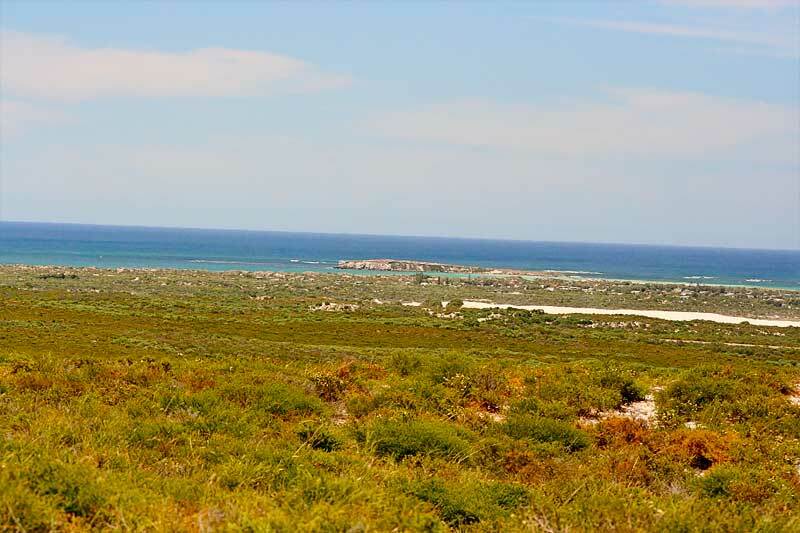 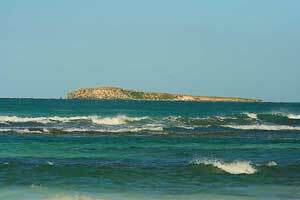 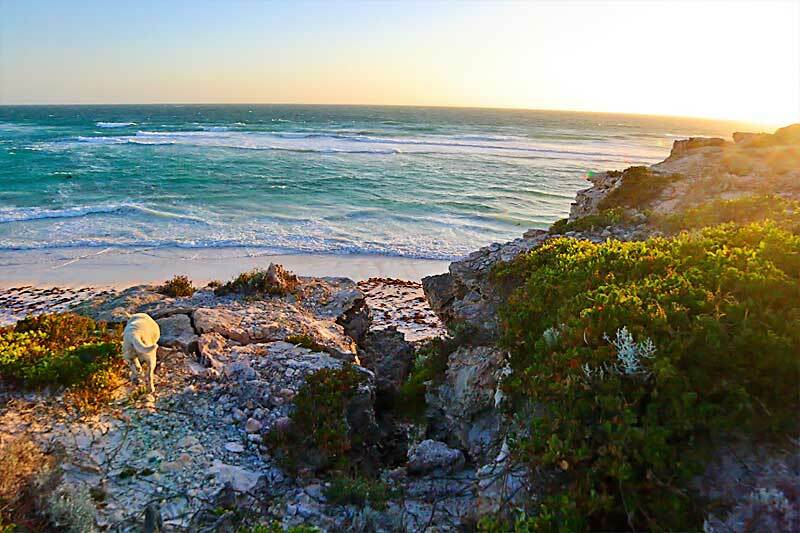 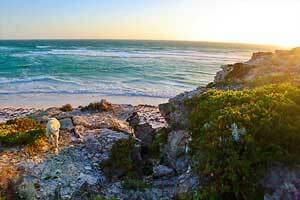 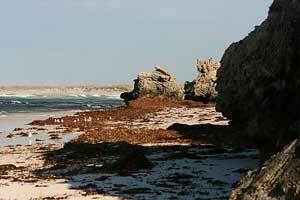 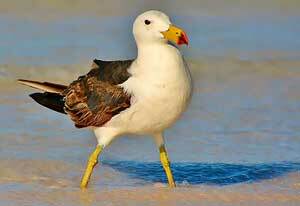 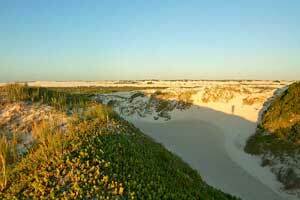 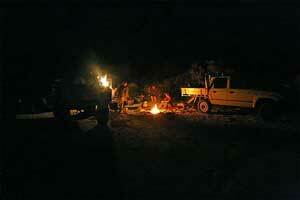 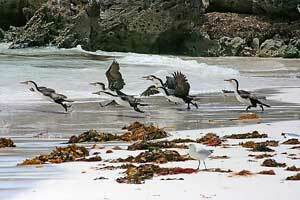 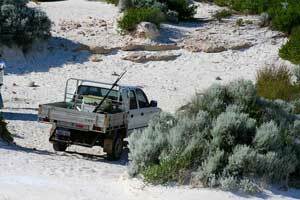 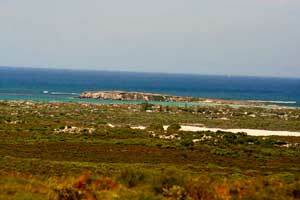 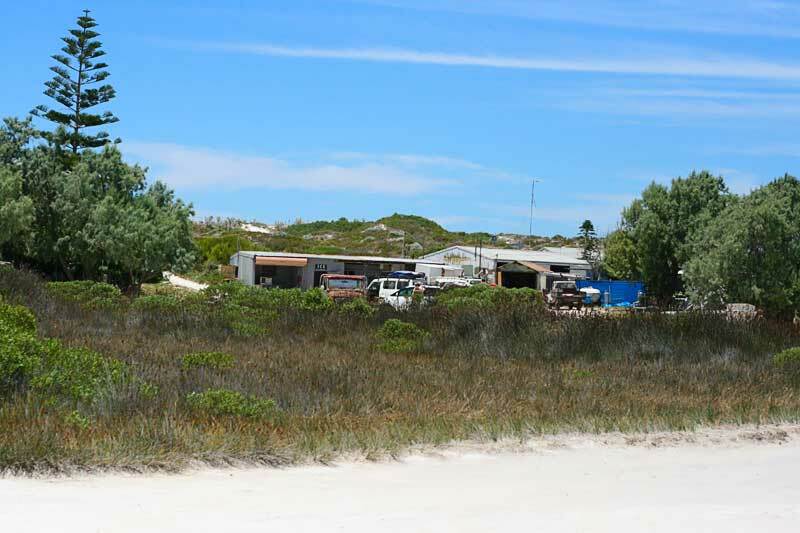 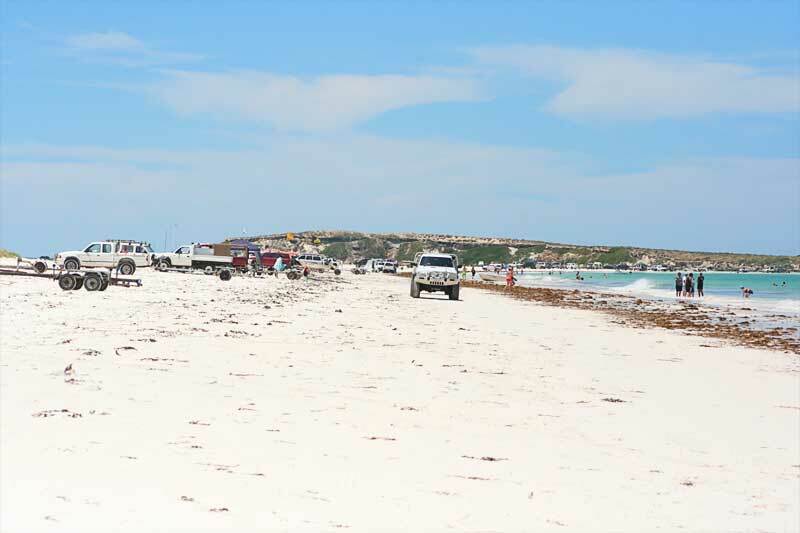 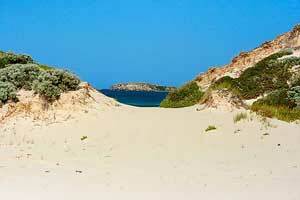 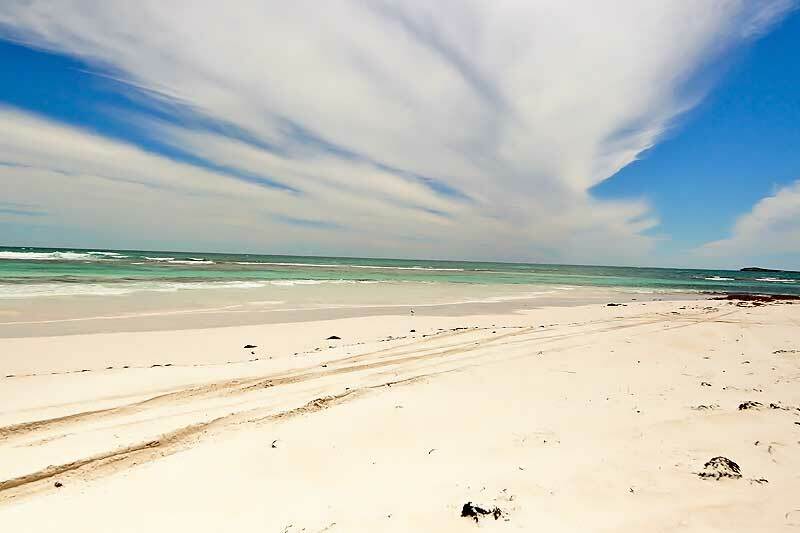 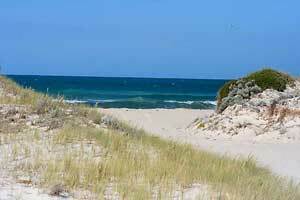 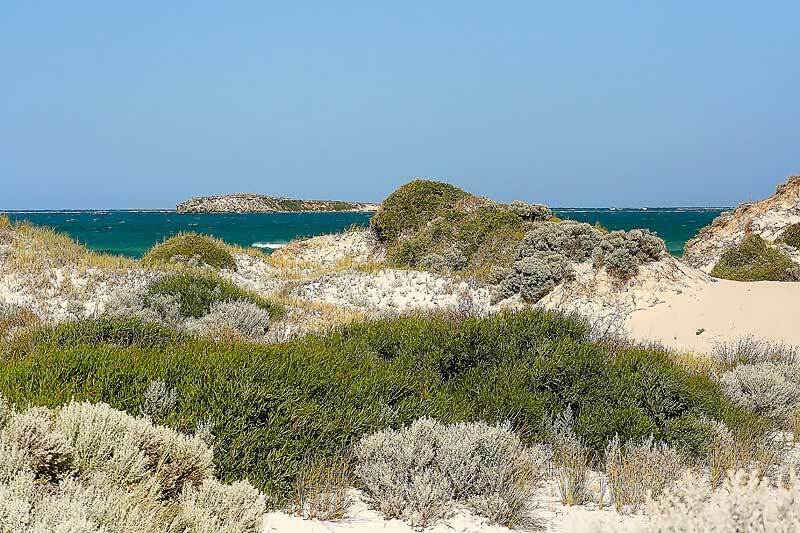 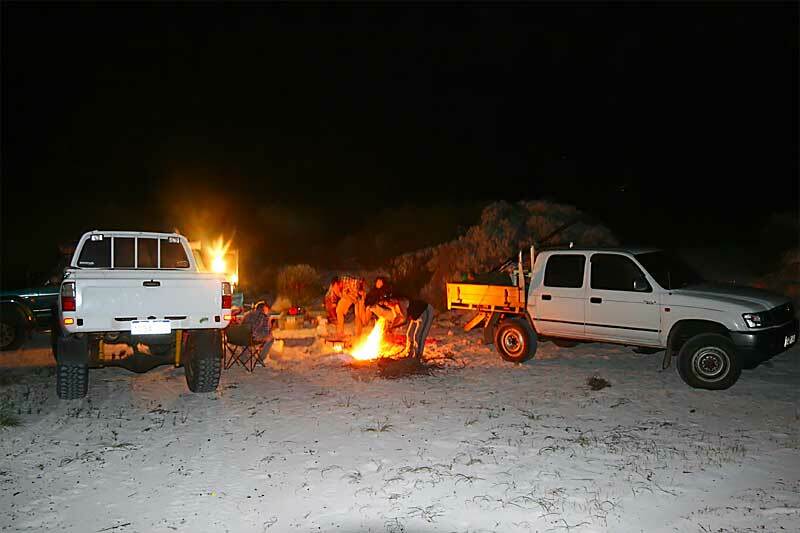 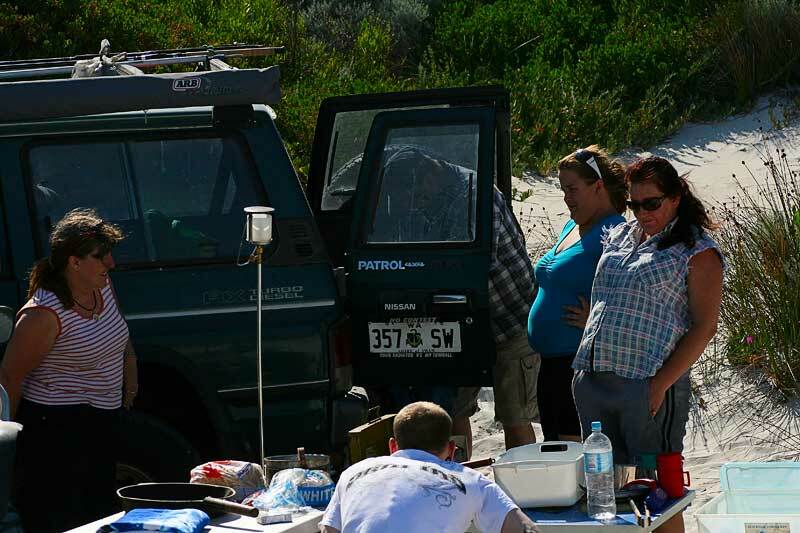 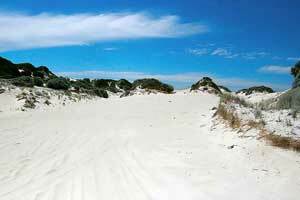 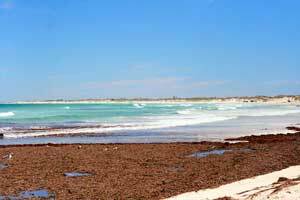 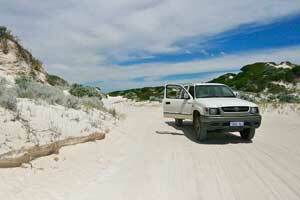 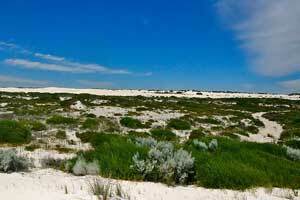 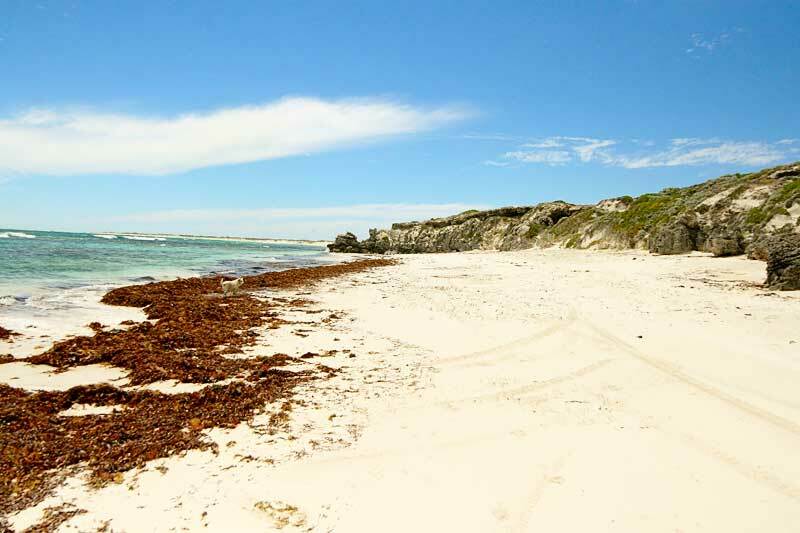 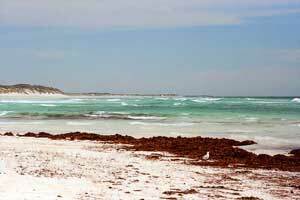 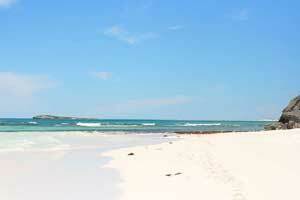 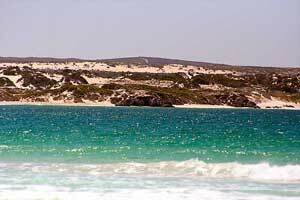 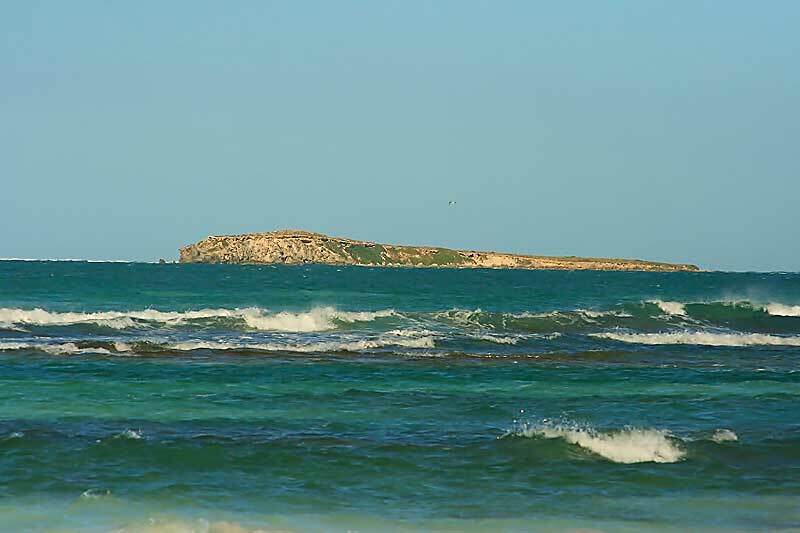 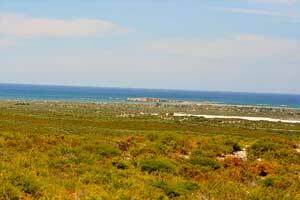 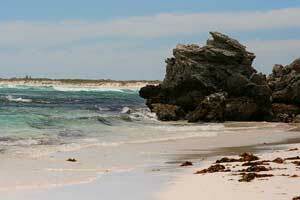 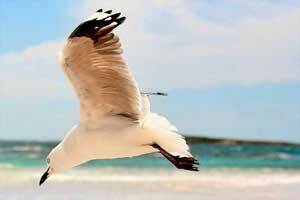 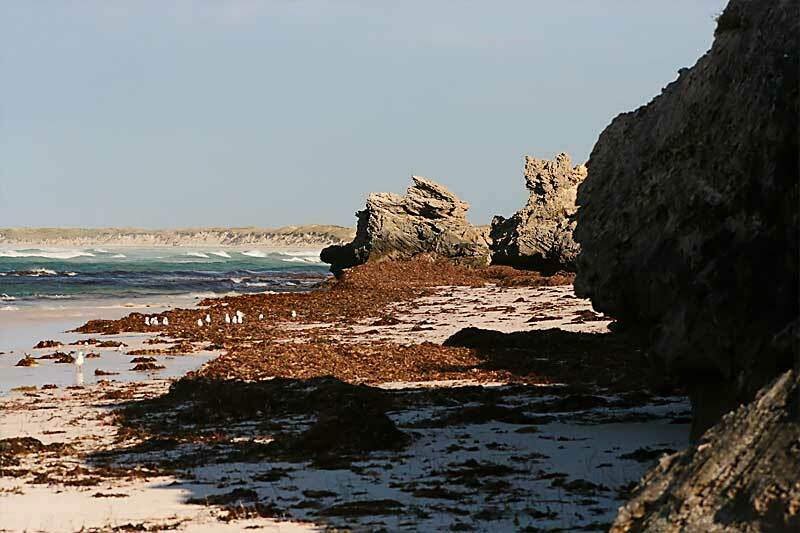 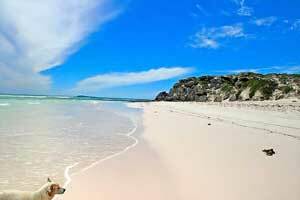 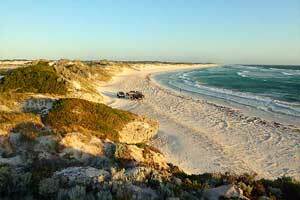 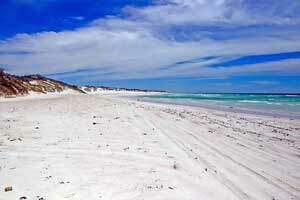 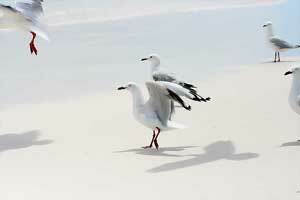 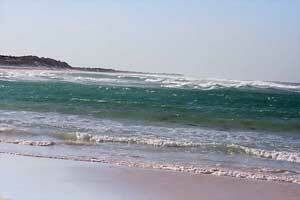 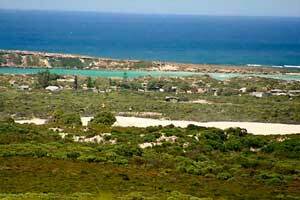 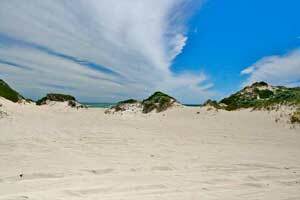 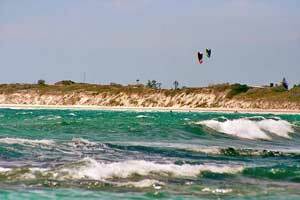 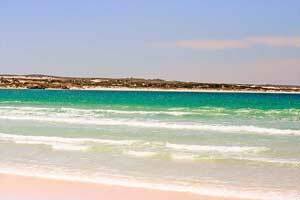 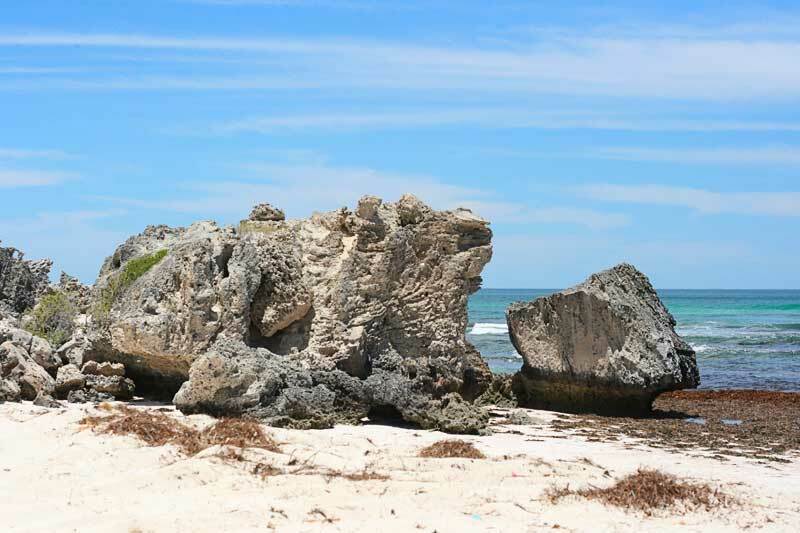 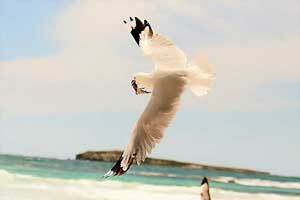 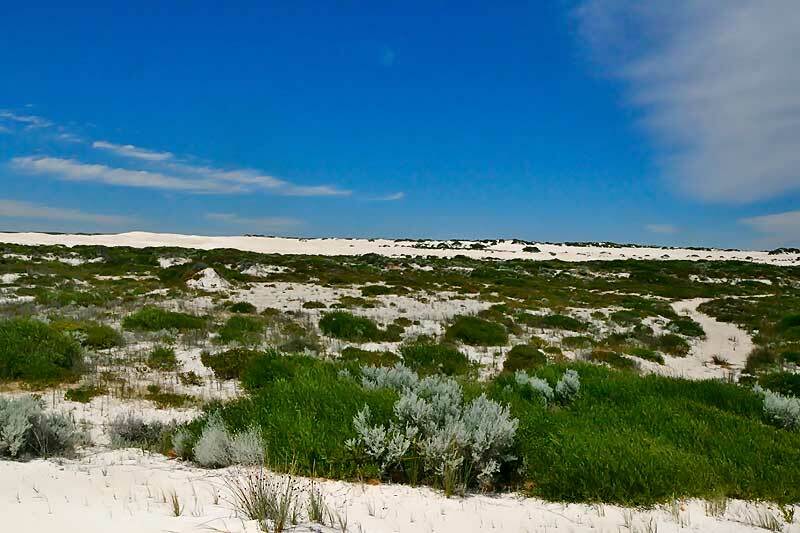 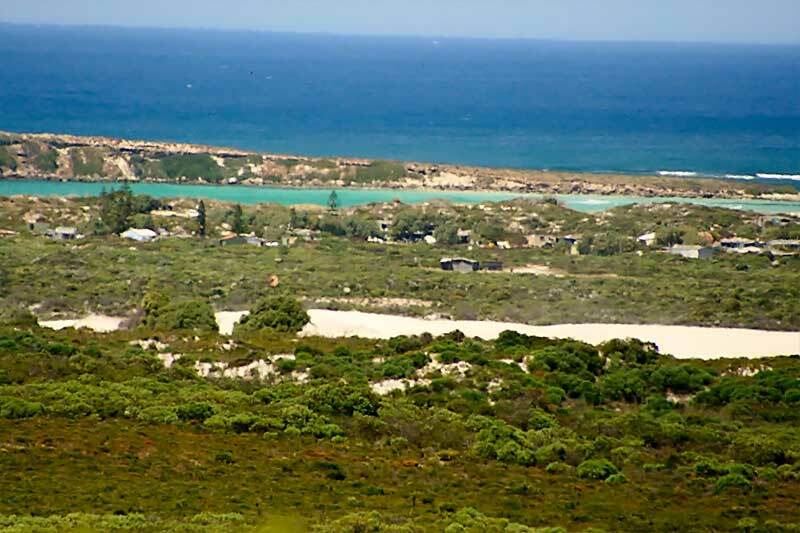 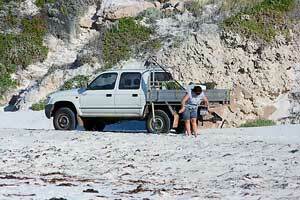 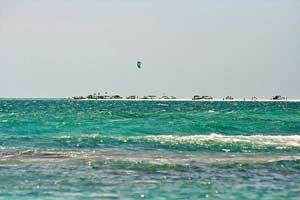 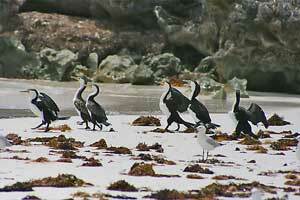 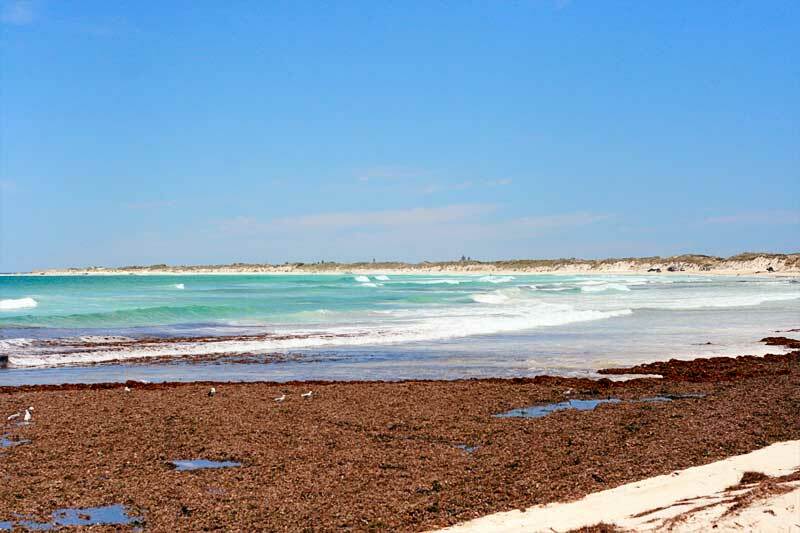 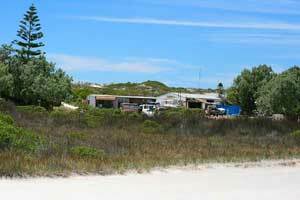 The Wedge Island Community consists of about 300 shacks (more less) settled on the mainland 30kms North of Lancelin. 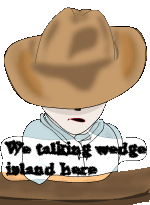 The secret is out. 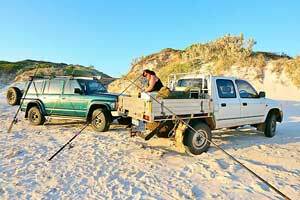 Rigging up a fishing line, this is the rig I use for tailor. 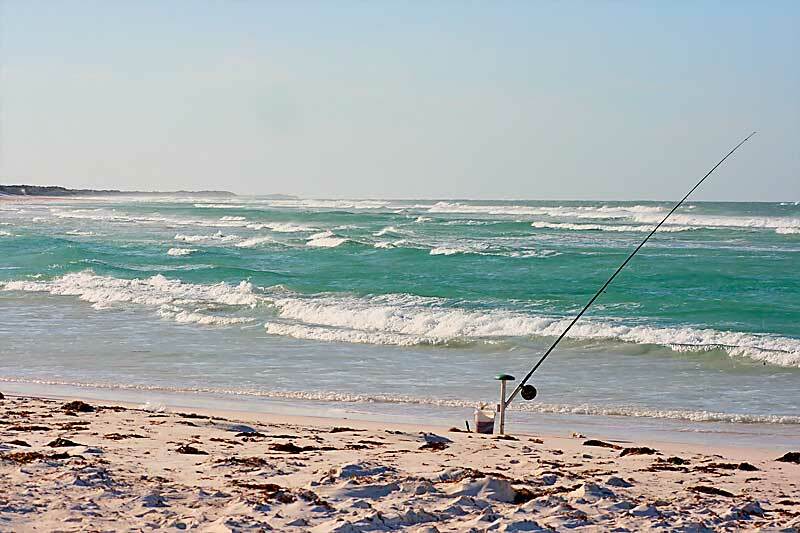 This rig guarantee to catch fish. 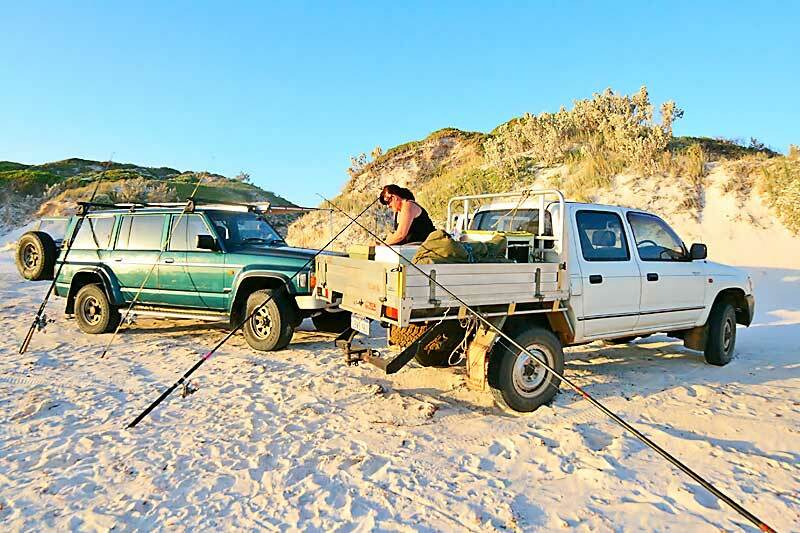 This rig is very useful for catching tailor and other species. 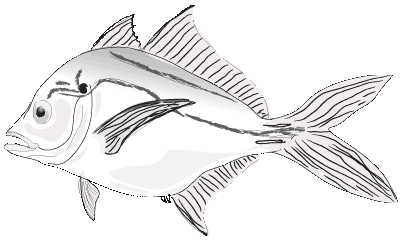 Skipjack (Silver Trevally) grows to around 110cm but average fish size caught is about 50cm long. 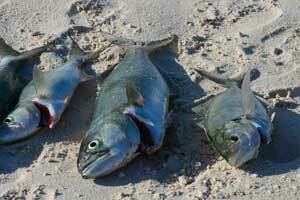 Silver Trevally is very appetizing fish if they bled soon after capture. 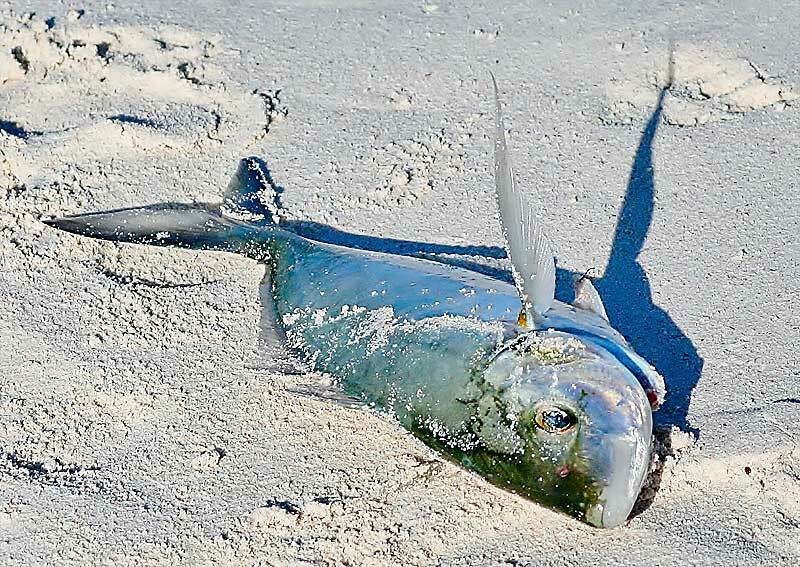 This fish is good for smoking. 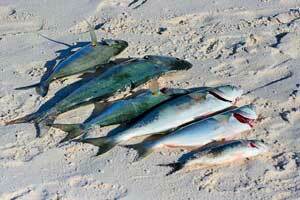 Trevallies are magnificent family fast streamlined fish. 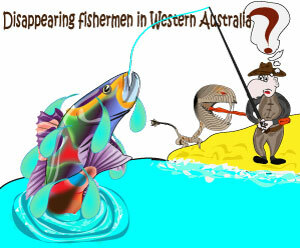 Trevallies are found in all Australian States. 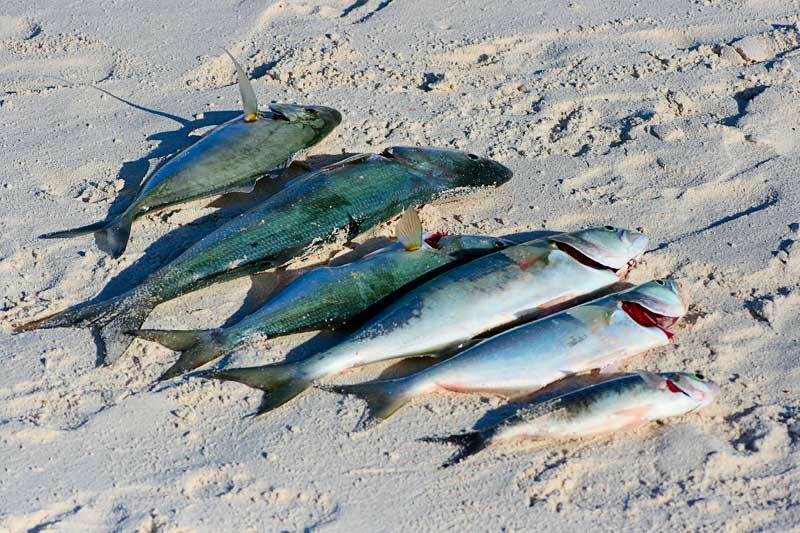 Young Skipjacks hunt in big schools close to surface, voraciously feeding on smaller fish. 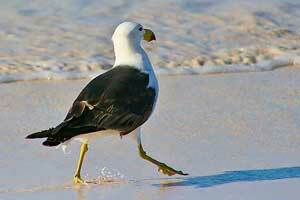 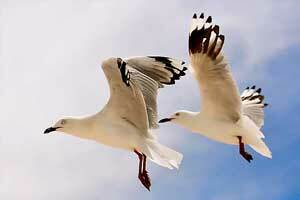 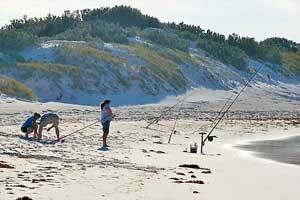 When hooked it puts up a fight equal to or better than most fish its size, and will take most baitfish. 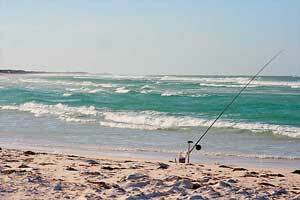 Morning catch just for breakfast and you have to watch those birds they are always after your fish or bait. 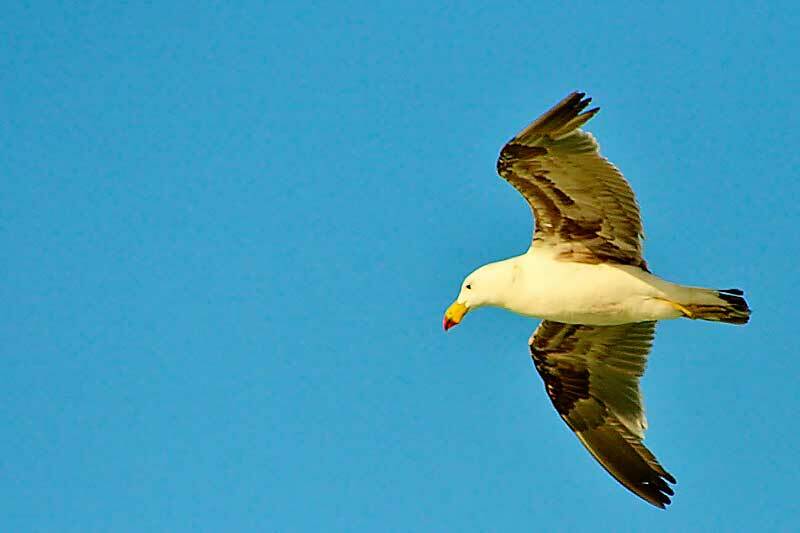 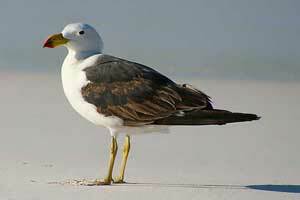 Annoying sometimes can be even quite aggressive birds: seagulls, pacific gulls, cormorants... Watch them or you lose your baitfish. 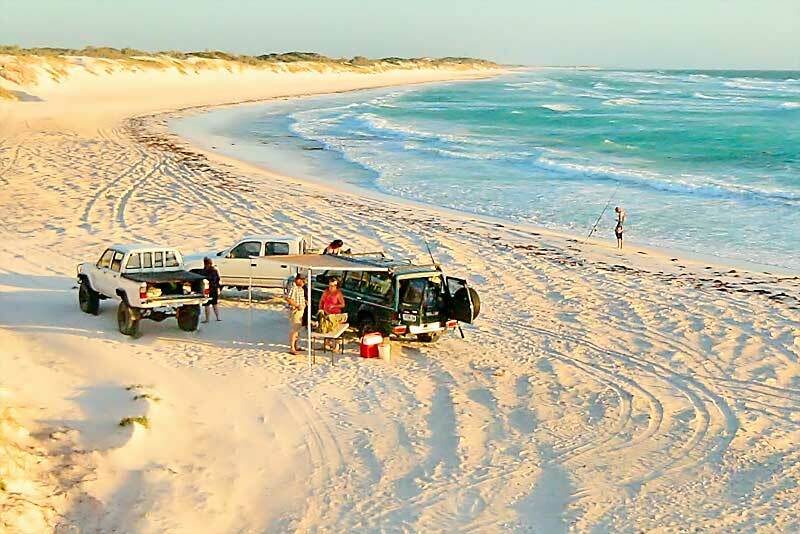 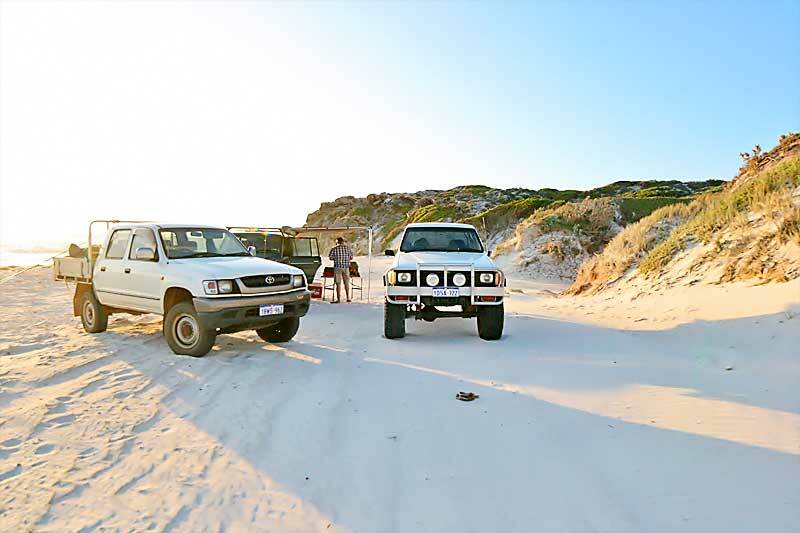 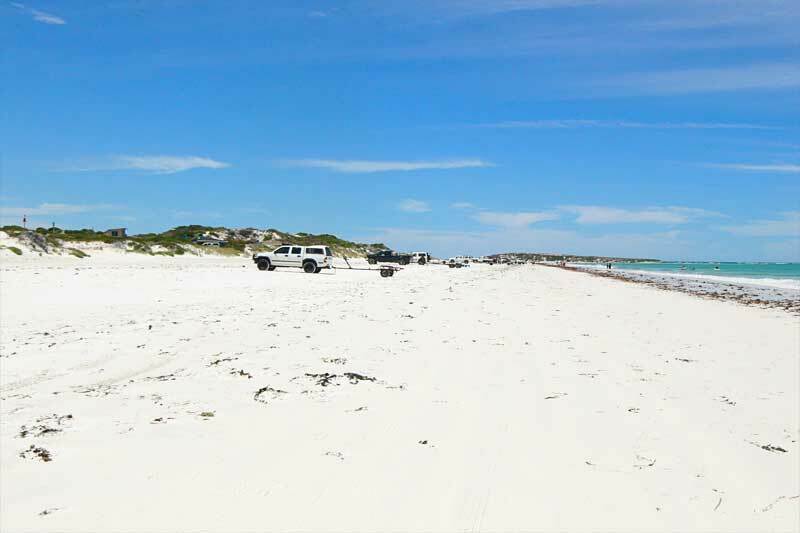 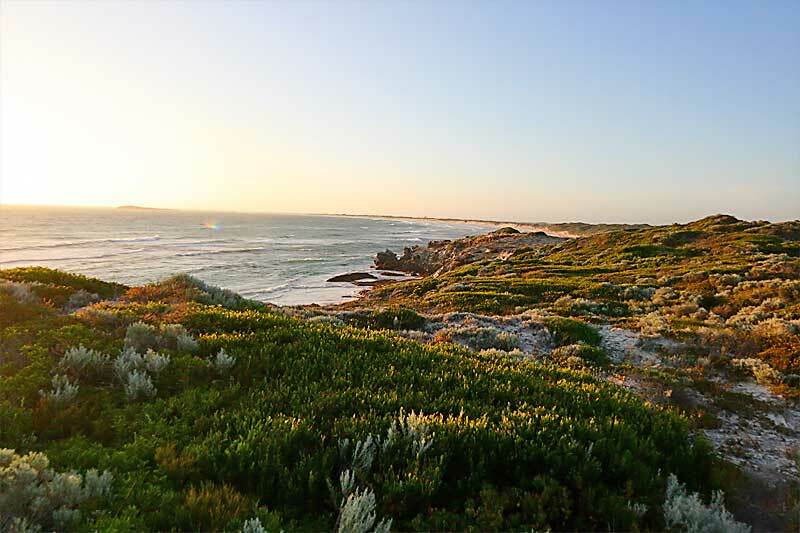 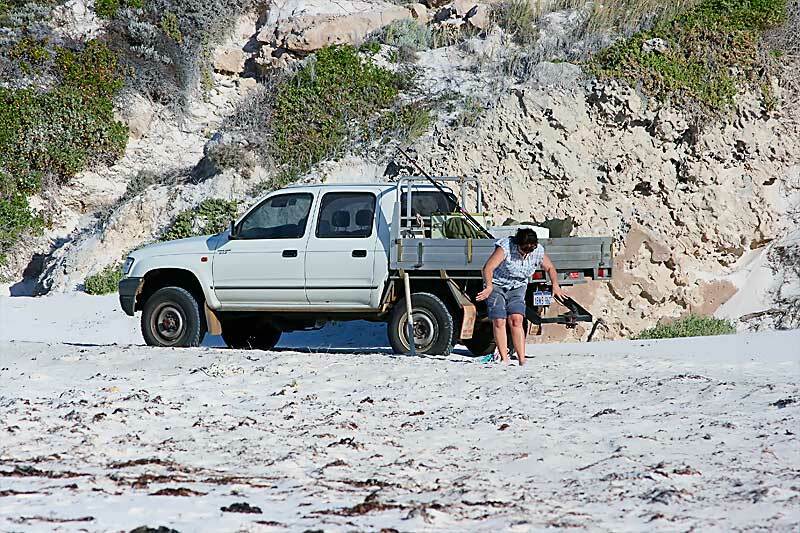 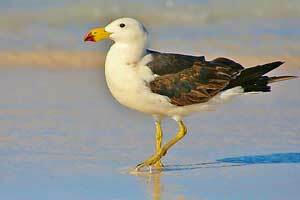 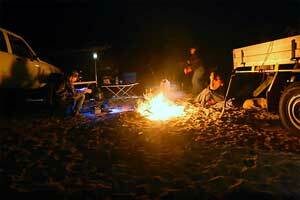 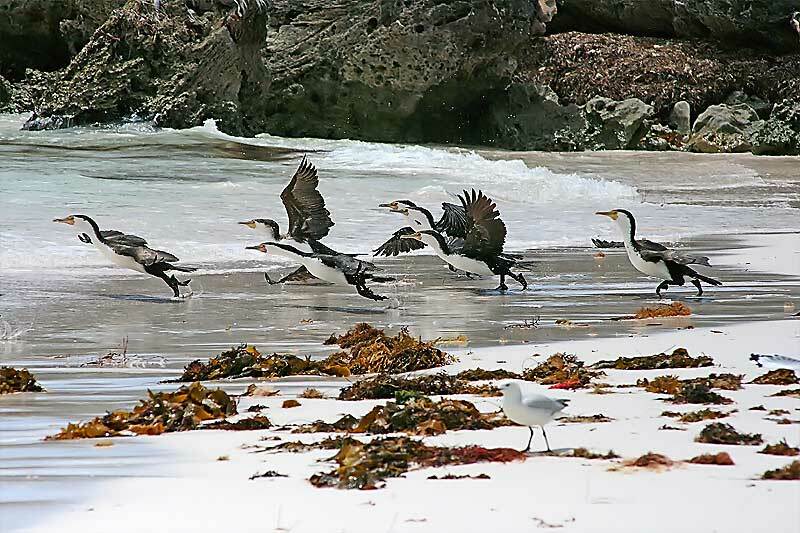 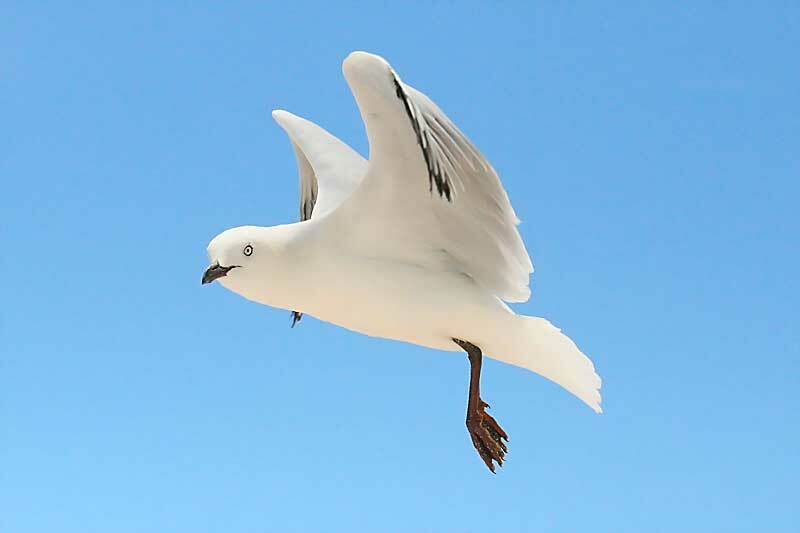 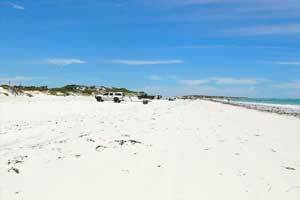 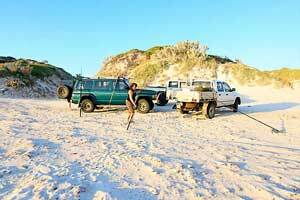 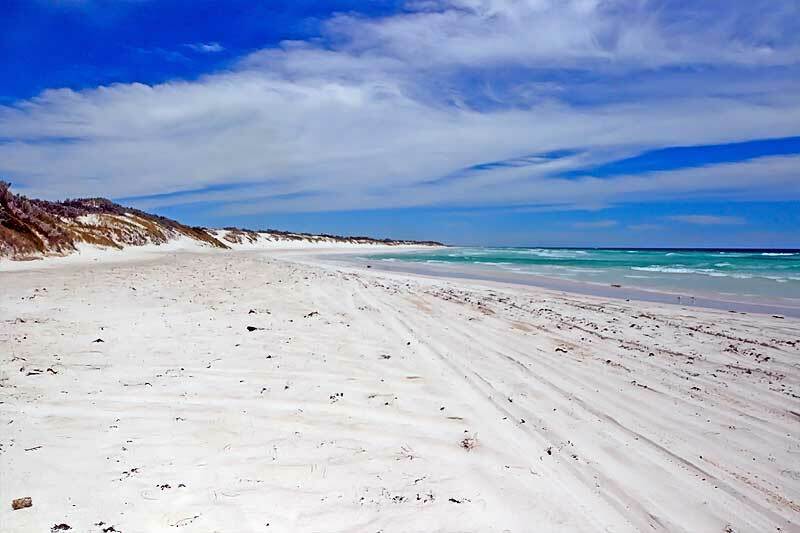 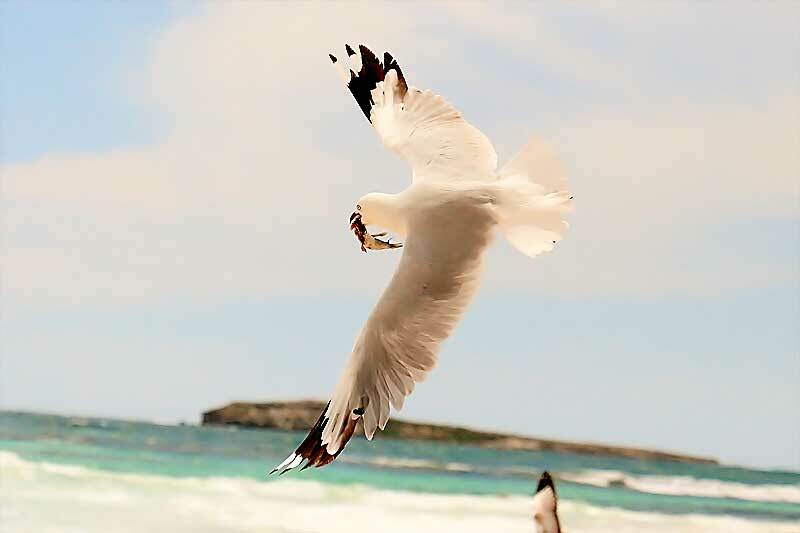 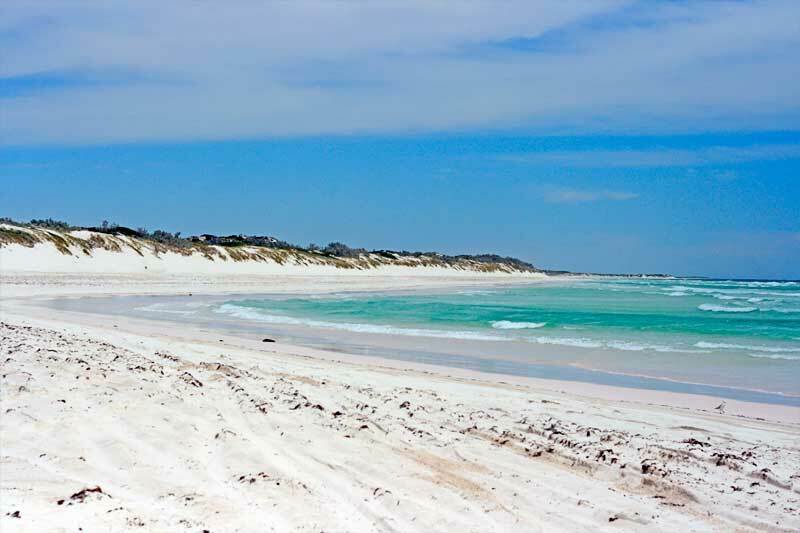 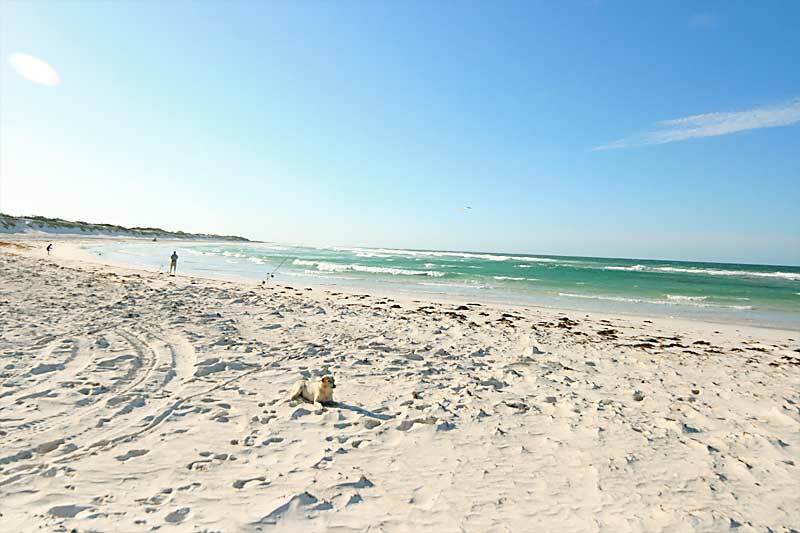 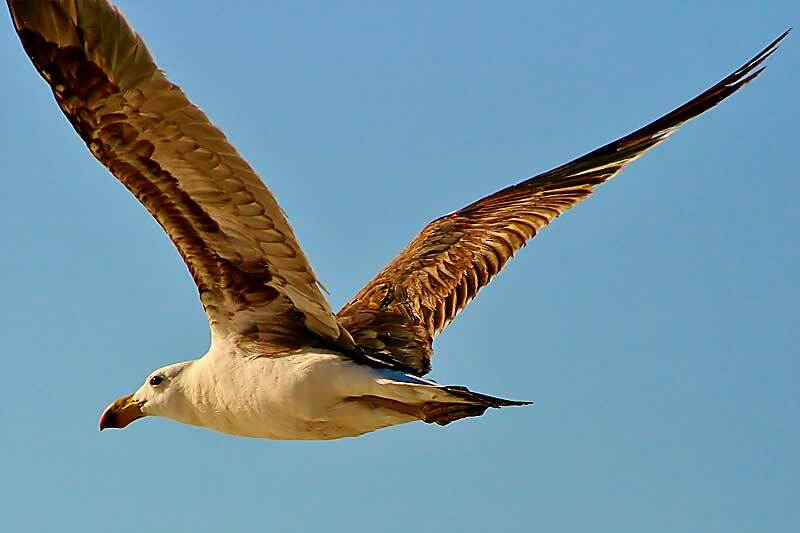 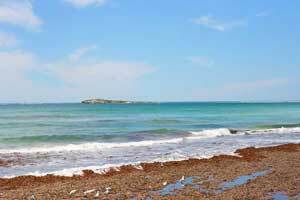 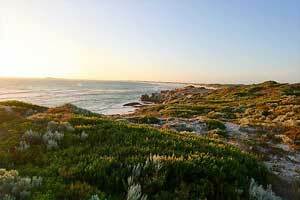 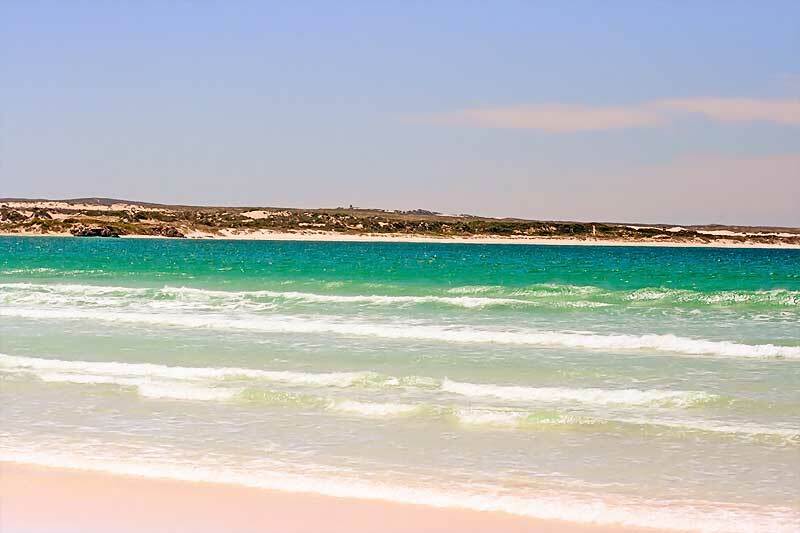 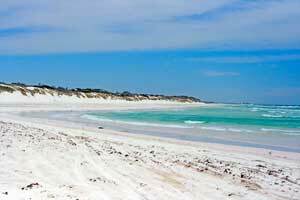 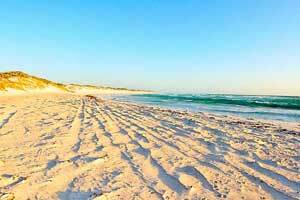 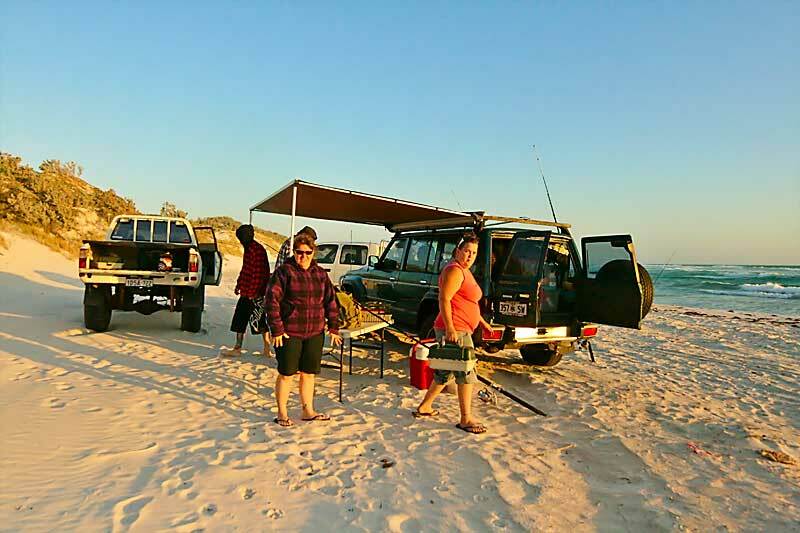 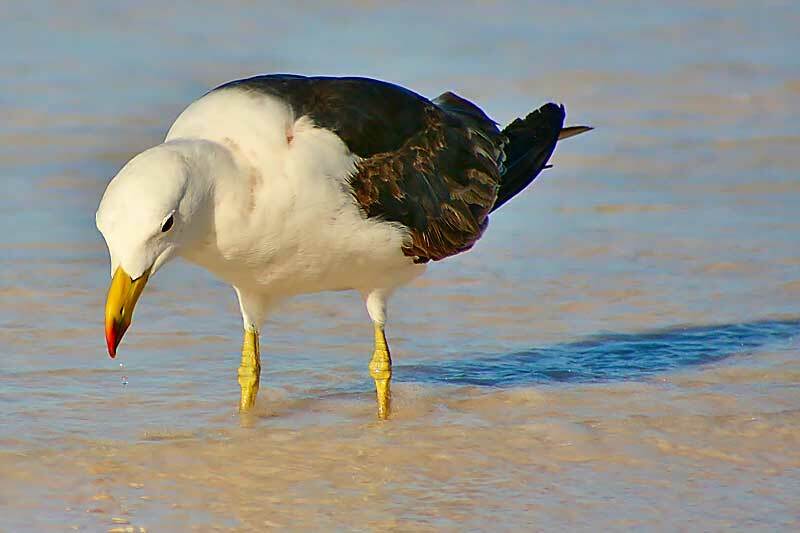 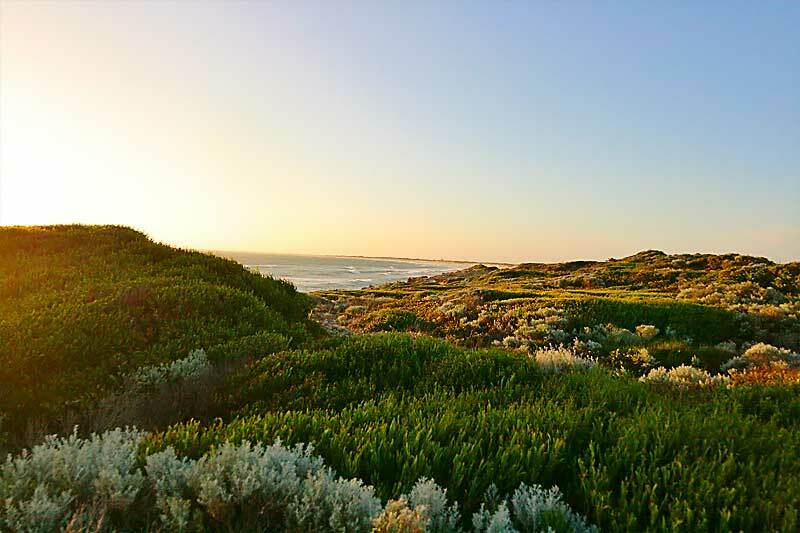 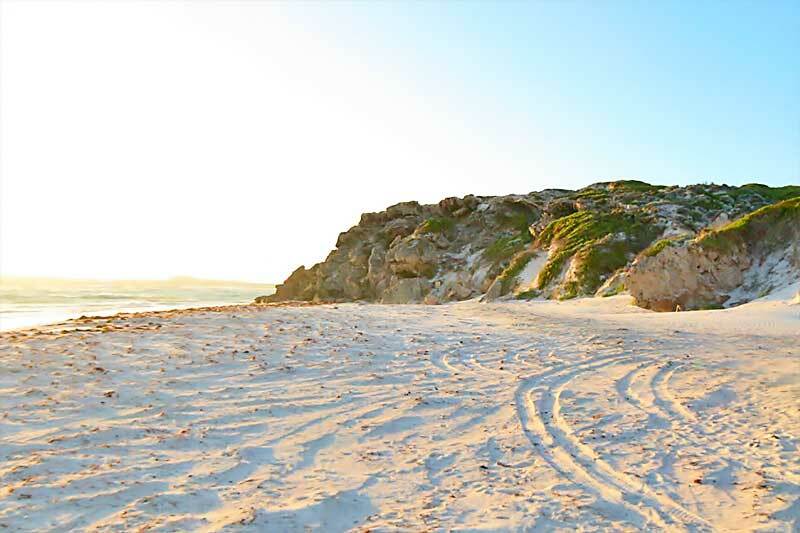 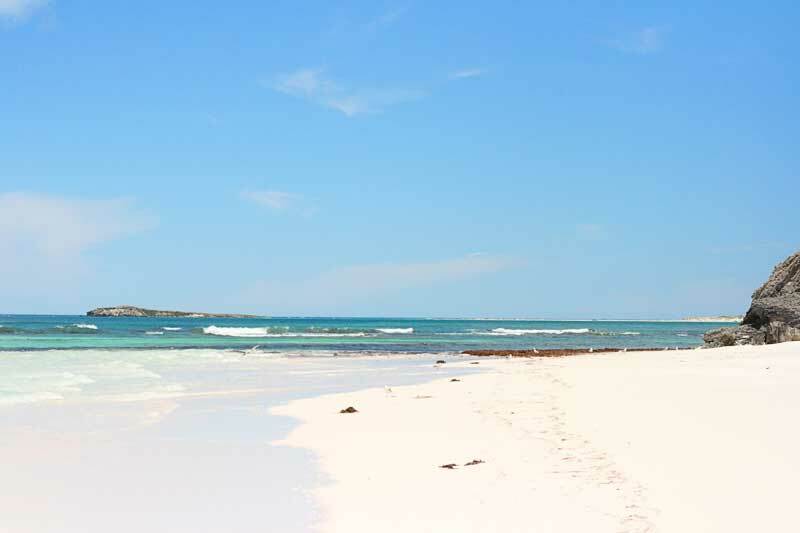 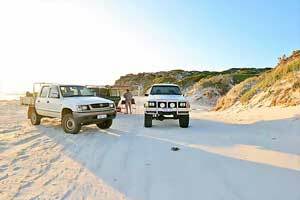 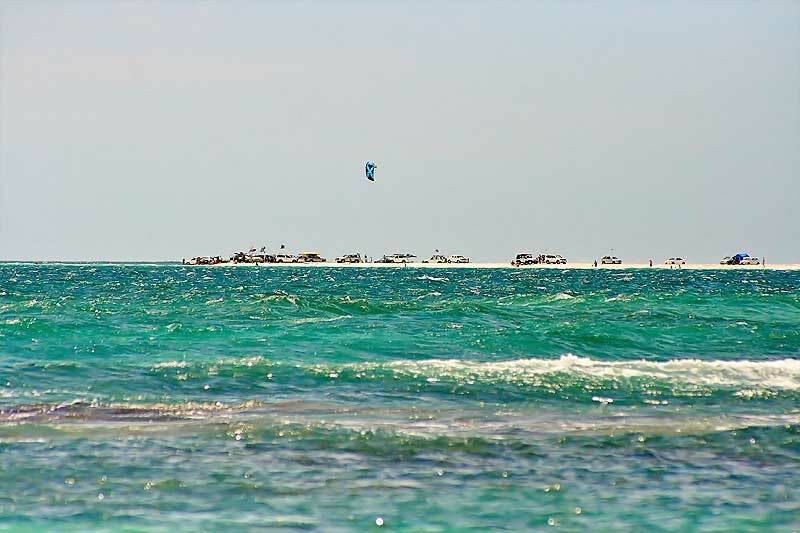 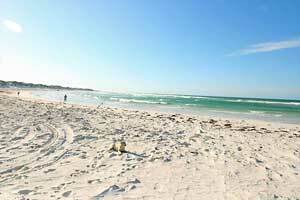 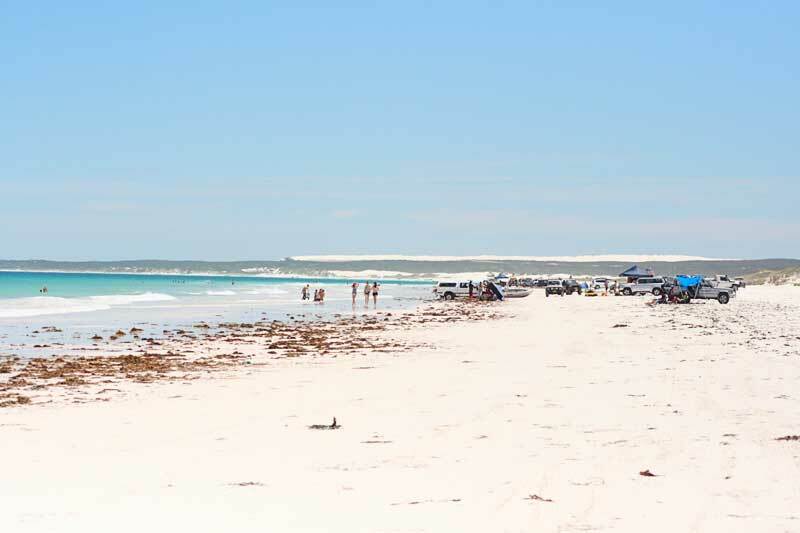 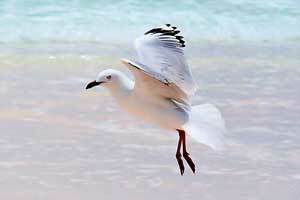 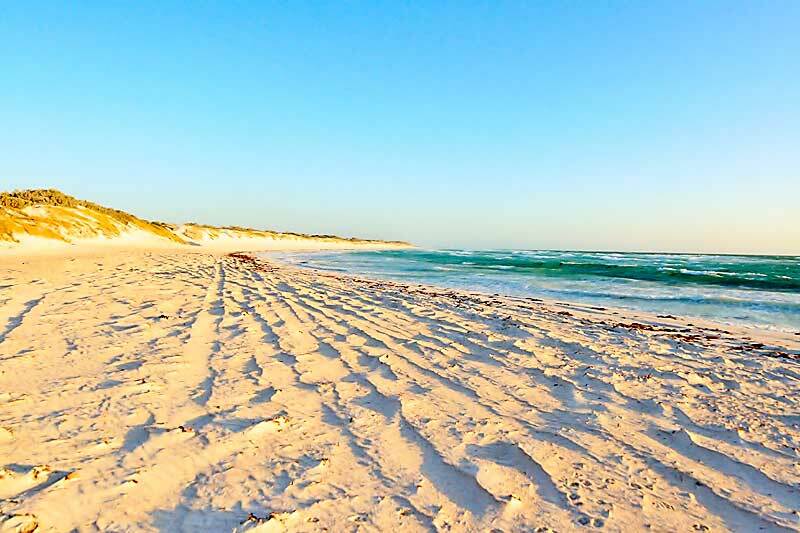 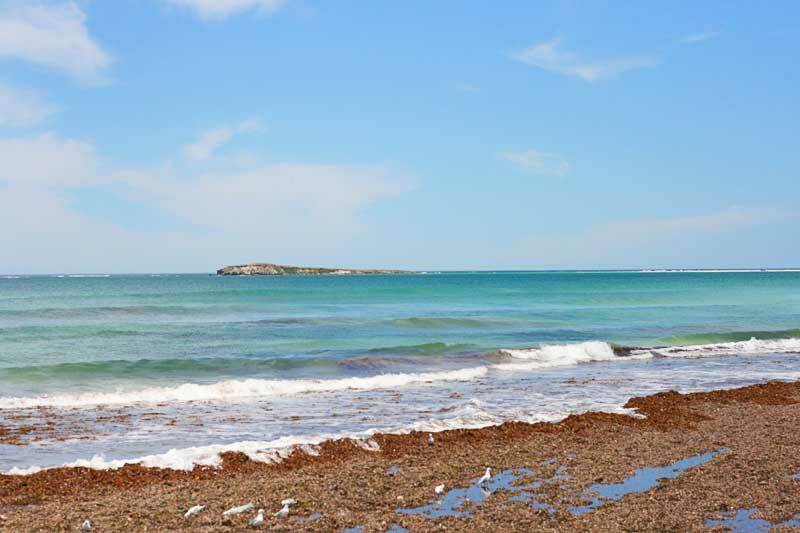 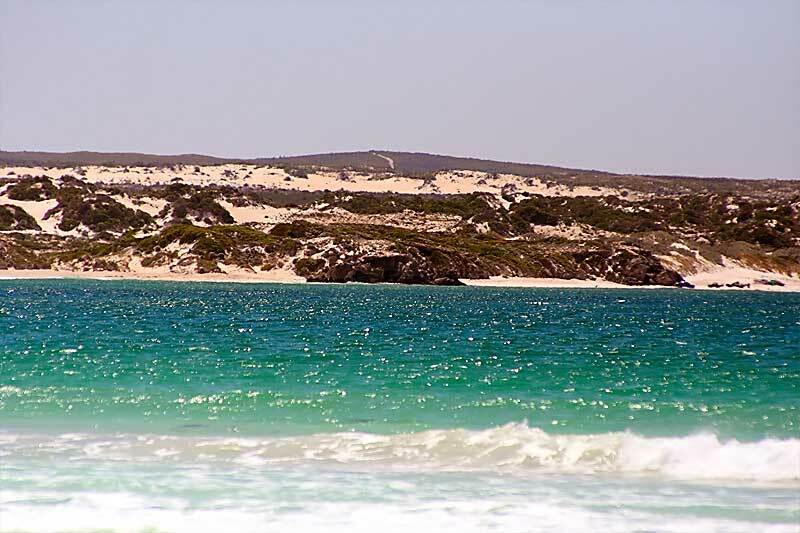 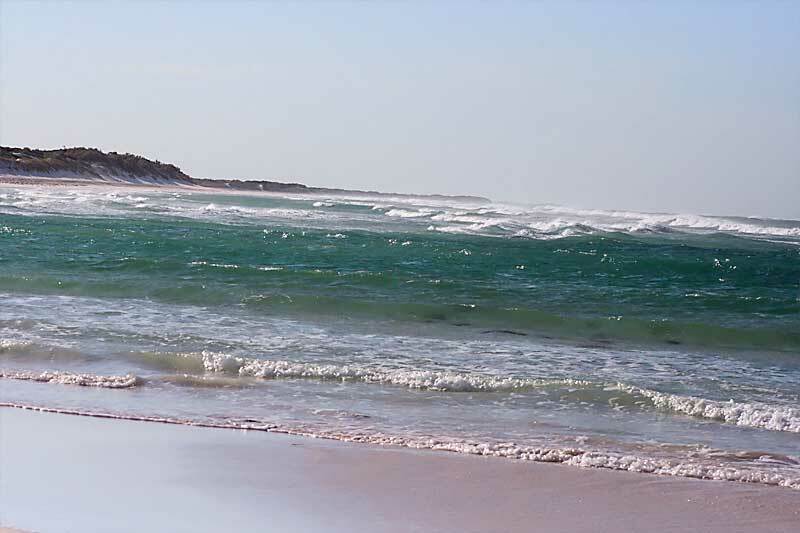 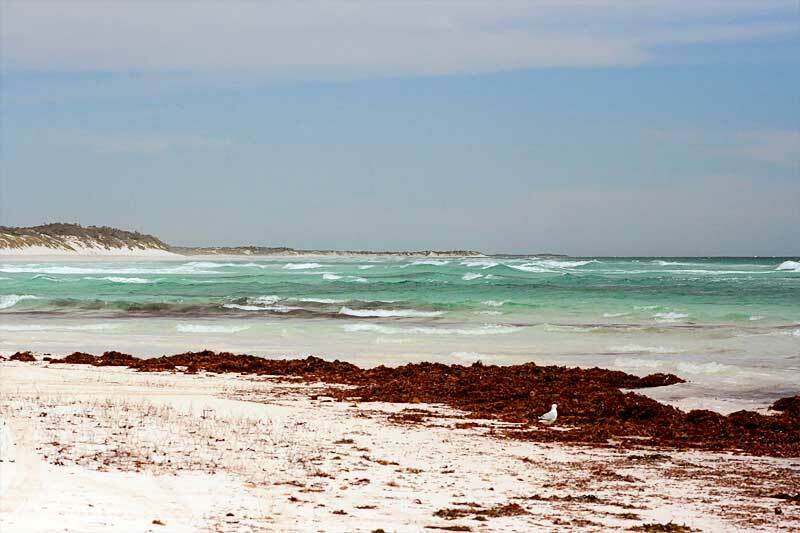 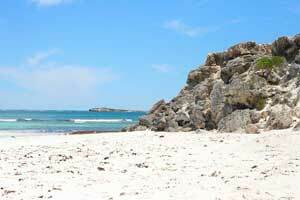 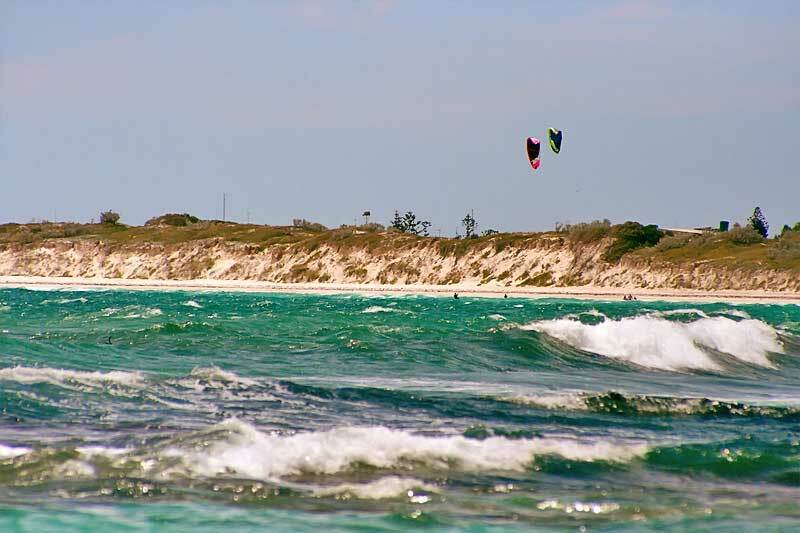 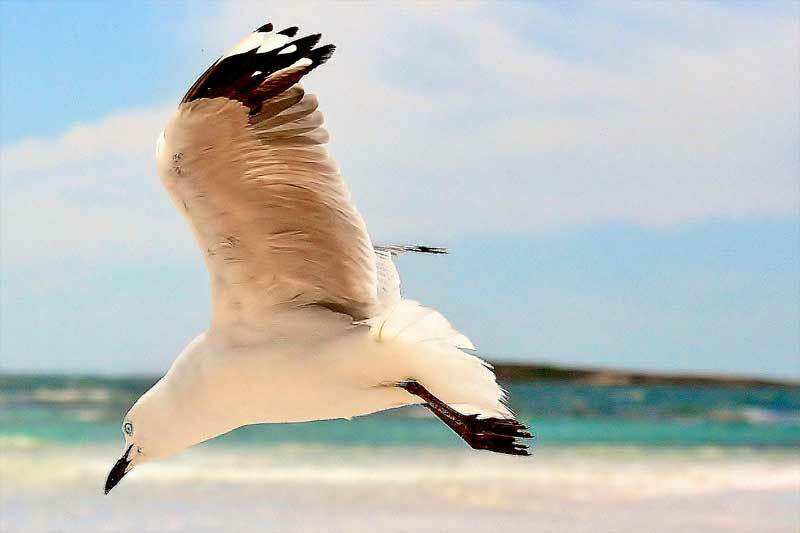 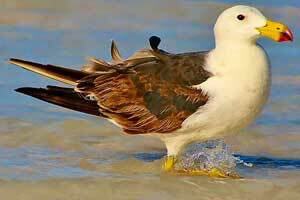 Around 130km north of Perth is a small place called Wedge Island, just few shacks behind the dunes with long white beaches, and the small island called Wedge, few off shore reefs make this place one of the best fishing grounds there is. 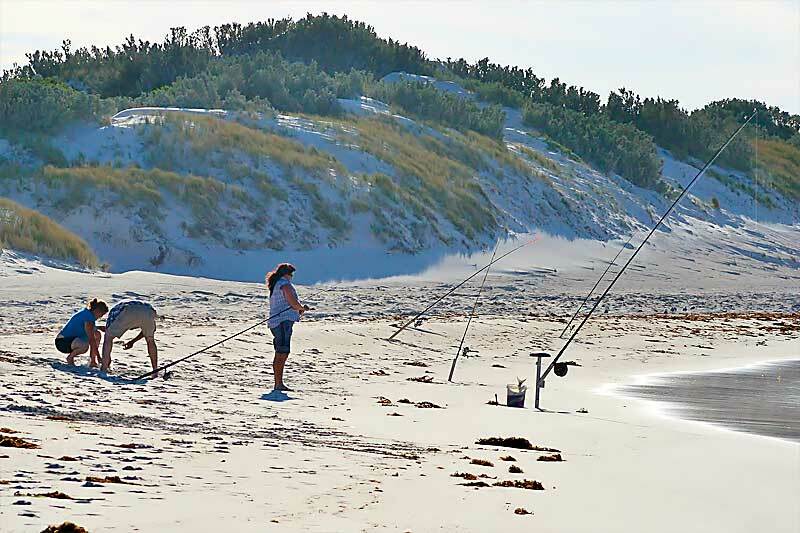 Most common species are: Tailor, Tommy-ruff called Herring by locals, Mulloway, flathead, skipjack and if you are lucky you can catch just about anything from this place. 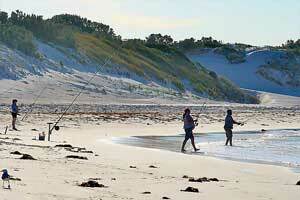 Wedge Island one of the best fishing grounds there is.